Anything is possible, if you set your mind to it, work hard, and have your heart in the right place. Little Mix, an awesome all-female vocal group and winner of The X Factor, reinforces these ideas in their new song "Little Me." The next time you're feeling down on yourself, turn this song on and remind yourself that the possibilities are endless, and that you can be anything you want to be. If you can't see the video embedded above, click here to watch it on YouTube. Click here to read all of the lyrics. So excited to share my trailer for FIRSTBORN! Right now it's an exclusive at Hypable. We'll do a Cover Story soon with Diva Melissa Walker. Thanks for celebrating with me! And thanks to Kirkus for the starred review. Happy holidays, rgz! We are a group of children’s authors that do Skype and Google visits with classrooms and book clubs across the country (we donate 25% percent of our fee to a chosen charity). To celebrate such a successful year, we are hosting a contest where two winners will get to each choose two booksfrom among our talented author pool. But wait – there’s more! The winners will also get to choose a school library of their choice to receive a collection of 5 books valued at over $150! At a time when school libraries are experiencing significant budget cutbacks, this is a great opportunity to do something nice for the library you love. So while you’re shopping online, why not hop on over to www.onlineauthorvisits.com and enter our ‘Tis the Season Book giveaway? It’s easy and a wonderful chance give back to the library in your life. Do you crossover and read adult works as well? Of course we've seen many adult authors enter the YA stream. Now watch as YA authors step into the adult market. 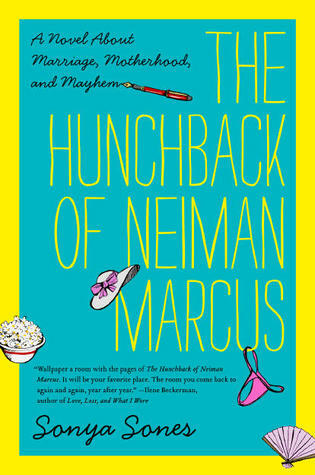 Sonya Sones did it with her Hunchback of Neiman Marcus, which Meg Cabot called: "Funny, fresh, and heartbreakingly poignant, this book had me laughing and crying at the same time." 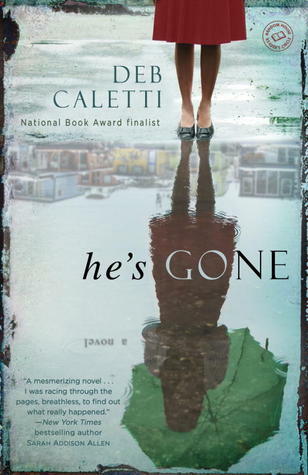 And now Deb Caletti has as well with He's Gone. Kirkus gave He's Gone a starred review and said, "YA veteran and National Book Award finalist Caletti (The Story of Us, 2012, etc.) makes a striking adult debut with this tale of a husband's mysterious disappearance...Well written, strongly characterized and emotionally complex fixtion." Well done, ladies! Representing! Rgz, look for these if you read adult, or maybe they are the perfect gifts for those adults you live with. :~) Happy shopping! What are your favorite book-to-film adaptations? Harry Potter, The Hunger Games, The Book Thief? Anxious for the movie version of Divergent? Can't wait to see the next installment of The Hobbit? Leave a comment at Allie's latest Teens Wanna Know article!